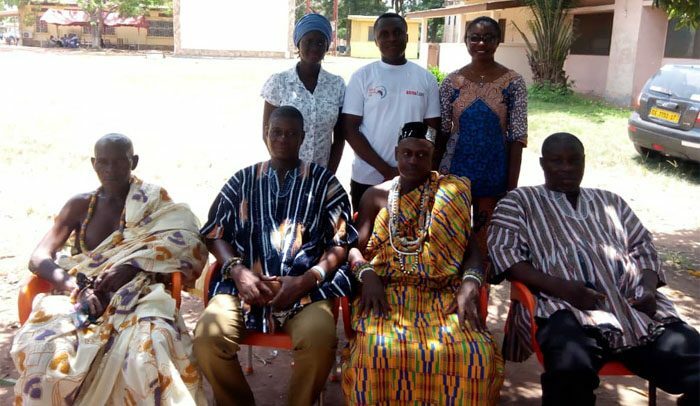 The Brick Lane Civil Company Limited last week organised a malaria awareness programme for the residents of Danfa, near Accra. The company, which is located at the La Nkwantanan Municipality, collaborated with the Ghana Health Service for the free malaria screening at the Danfa Methodist Basic School and covered communities such as Danfa, Adoteiman, Kweiman and Otinibi. Present at the programme themed: “Zero Malaria Starts with Me” were Nii Djane Tsuru Afutu Brempong IV, Chief of Danfa; Nii Neequaye Amassah, Gyasetse Danfa; Nii Laryea Brenya, Mankralo Danfa; Nii Djane Amassah, acting stool head, Adoteiman; and Seth Nii Annan, stool secretary, Danfa. After the programme, Nii Djane Tsuru Afutu Brempng IV thanked the engineering company for the gesture and urged other companies to emulate its example. He also urged residents to keep their surroundings clean so that mosquitoes would not find breeding places. He pleaded with the government and the company to support the construction of an SHS. He has allocated an eight-acre land for the construction. A representative of the company, Simon Boateng Boadi, expressed gratitude to the chiefs for the warm reception accorded the company and promised to continue to support the community.